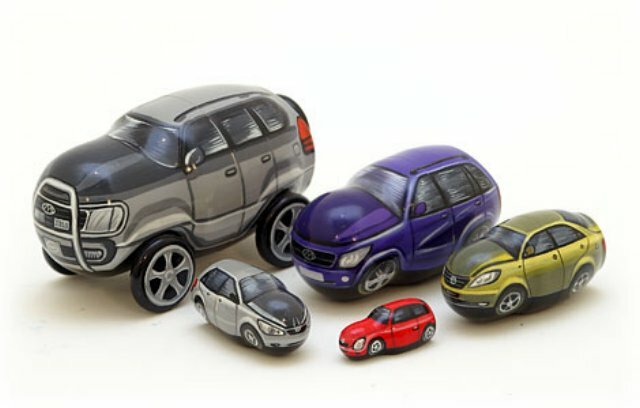 This unique matryoshka is a set of cars, each a different color. Attached wheels and spare tire on the outermost doll give this nesting doll a 3D appearance. Inner dolls are flattened on the bottom for tabletop display. Realistic and original, they are hand painted in St. Petersburg, Russia, it's a Golden Cockerel exclusive!